Standard Option has 2 Single Private Toilet Suites. This restroom has heat, air conditioning, running water and flush toilets. 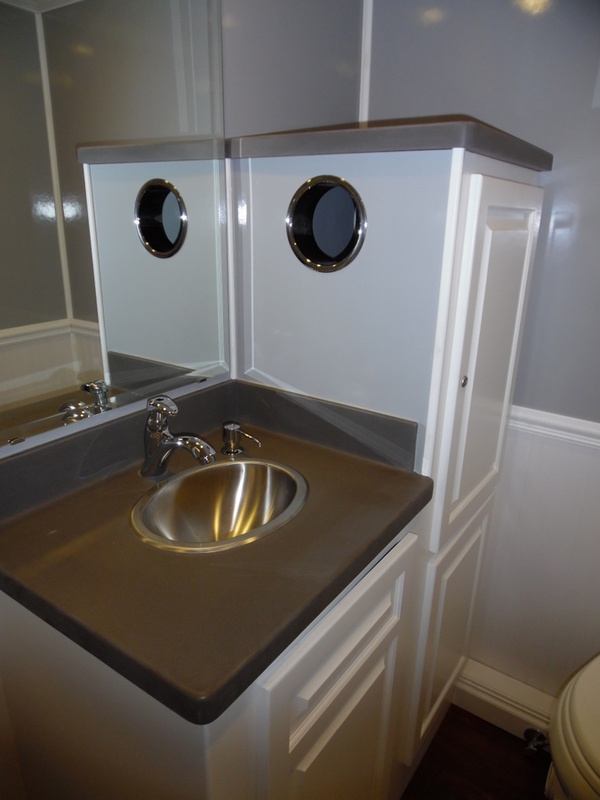 This is a high-end restroom capable of handling events of up to 200 guests! Check out our other styles of trailers with 2 double suites or 3 single suites.